The key to a successful supply chain is not only planning how to distribute your product, but how to bring back both customer returns and obsolete products. Managing returns effectively lets you recapture value, reduce write-offs and keep your customers happy. We do reverse transportation from Pan India location from City to remote areas with complete safety and providing tracking of vehicle till delivery close with our trained and dedicated people. The delivered shipment is collected from the consignee and returned to the shipper. Total Logistics has achieved remarkable innovation in Third Party Procurement services. As part of the operation, the company maps, designs and implements the entire supply chain process of the customer using global best practices and TPS concepts like JIT to provide end-to-end solutions to the customer. 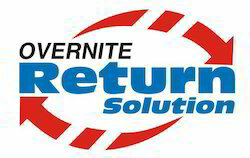 Offers reverse logistics in effective and cost effective manner. It transports goods from location of the end user to the location of the manufacturer. Offering a product with “satisfaction guaranteed" means something – returns. Managing returns effectively allows you to recapture value, whilst keeping your customers happy. We'll help you plan and implement a reverse logistics solution that saves time and money, and improves customer service. "Managing products that fail & are returned by customers within the warranty period. Disposal solutions for either collection, reuse or recycling of your product at its end-of-life through customer take back schemes." "Complete solution for collection, refurbishment, reuse, resale and recycling services for all types of IT, electronics, media and communications equipment." - MRC manages reverse logistics for customers like Ashok Leyland, Cummins, Kirloskar Oil Engines, etc. MRC has a separate material handling division which provides Mobile Hydraulic Cranes, Forklifts to support loading & unloading activities in transportation. Reverse logistics is for all operations related to the reuse of products and materials. It is "the process of moving goods from their typical final destination for the purpose of capturing value, or proper disposal.